MSV: Lane Bajardi: "I realize going with an attorney who Ricky and Beth are comfortable with is key." Lane Bajardi: "I realize going with an attorney who Ricky and Beth are comfortable with is key." Lane Bajardi email states he and Kimberly Cardinal Bajardi should find a lawyer "Beth and Ricky" Mason "are comfortable with" calling it "key." 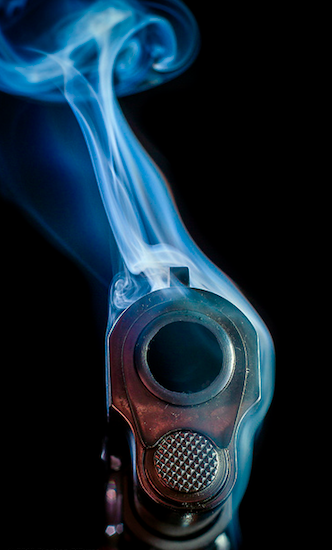 A smoking gun in the form of an email by Lane Bajardi to James "FinBoy" Barracato points to serious questions, financial and otherwise on the years long murky political relationship between the Bajardis' 2012 civil lawsuit and Beth and Richard Mason. In a February 8, 2012 email, part of an apparent campaign by Lane Bajardi to convince a NJ based attorney to take the case, he outlined in stark terms while it would be a "help" to find counsel with a track record, "I realize going with an attorney who Ricky and Beth are comfortable with is key." The email to Barracato, declared a "business partner" by Councilwoman Beth Mason at last month's civil trial suggests a financial relationship with Lane Bajardi and his wife, if not outright underwriting of the entire litigation which was filed several months later in July. Under oath, Lane Bajardi, Kimberly Cardinal Bajardi and then late in the litigation, Beth Mason herself would deny her financial involvement in the lawsuit launched against a dozen Hoboken residents. Her numerous Hoboken political operations and related expenses however are funded by her husband, Richard Mason, a partner at Wachtell, Litpon, Rosen & Katz. The complete February 8, 2012 email with one Hoboken resident's name deleted as Lane Bajardi declares those listed are "co-conspirators" against him and his wife. He includes among the "co-conspirators" Kurt Gardiner who formerly ran the pro-reform website the Hoboken Journal. Mentioned too in the same email are apparent ongoing efforts for the Bajardis of attorney Steve Kleinman, the former Hoboken Corporation Counsel who was replaced shortly after Dawn Zimmer became Acting Mayor. Kleinman has been engaged in recent years by Councilwoman Beth Mason and is representing her in criminal allegations she made against this editor last September. 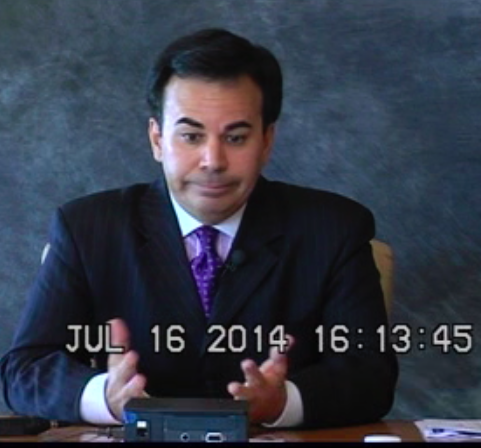 At his July 16, 2014 deposition, Lane Bajardi would offer no answer to a question why he wrote that Beth and Ricky Mason needed to be "comfortable" with the choice of an attorney feigning lack of knowledge about writing it. To the follow-up question was he denying he wrote the email, Bajardi asked if a copy was available for review and said he was "neither denying nor confirming it" and responded negatively to recalling it. At the time of the email, Lane Bajardi had only recently regained employment the previous fall as a radio reporter for 1010 WINS after more than two years of unemployment. His earnings for 2011 were less than 30K. 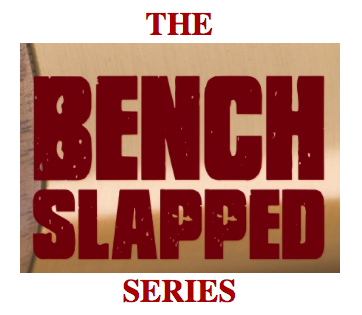 In an email a year earlier, Lane Bajardi replied to an inquiry from Perry Klaussen owner of the blog Hoboken411 asking "you're suing them right" by writing that a civil lawsuit would "cost a shitload of money" and "I obviously do not have unlimited finances to fight a protracted legal battle." With the 2012 defamation lawsuit however, Lane Bajardi and Kimberly Cardinal Bajardi deployed at least half a dozen lawyers or more in five states with legal observers estimating the plaintiff legal pricetag at $400,000 or more. Inclusive of the two week trial last month, the Bajardi v Pincus litigation's full cost is estimated on both sides to total in the range of $1,000,000. Among tens of thousands of emails of the Bajardis obtained in discovery, more than 7,000 involve the plaintiffs and both Beth and Richard Mason with the vast majority relating to Hobken politics. Lane Bajardi and Kimberly Cardinal Bajardi attempted to distance their political advocacy in testimony and sworn court documents on behalf of Beth Mason. Those sworn declarations run counter to their own emails which sought to advance Beth Mason's political career and her Russo faction allies' political objectives. Councilwoman Beth Mason who announced the lawsuit against MSV in a live City Council meeting 15 days before it was filed back in July 2012 successfully avoided answering any question on her and her family's role in potentially underwriting the civil litigation against more than a dozen Hoboken residents. She's said recently the litigation has "nothing" to do with her. 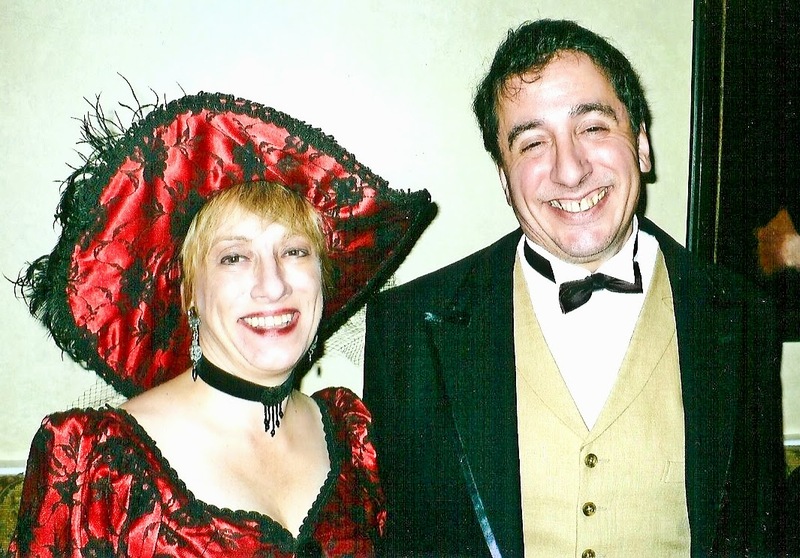 Beth and Richard Mason of Wachtell, Lipton, Rosen & Katz in a costume photo several years ago. Lane Bajardi wrote to Mason's senior political operative James Barracato coordinating efforts early in 2012 to identify a litigation attorney launched later that year "Beth and Ricky are comfortable with." Bajardi said doing so is "key." Questions have swirled around Beth Mason and her family on the financial underwriting of the Bajardis' civil lawsuit. Lane Bajardi and Kimberly Cardinal Bajardi launched the lawsuit mere months after both being unemployed for over two years. She's stated an interest in working but isn't. Beth Mason kept silent on any financial role by herself and her family until nearly the end of the civil litigation, well over two years before limiting her comments saying she herself did not fund the lawsuit. She earns approximately $23,000 annually as a city council member. No comment however was offered about the Mason family underwriting the Bajardis. Richard Mason, a partner for Wachtell, Lipton, Rosen & Katz never made any public statement while exerting strenuous efforts to avoid a subpoena to testify at the Bajardi v Pincus trial. Financial discovery provided to the defense has led to more questions than answers as to the funding of the litigation. One account with Bank of America was ordered turned over to the defense by the court but like many documents withheld. From: James Barracato <jamesbarracato@gmail.com> Sent: Tuesday, March 27, 2012 9:57 AMTo: Lane Bajardi <lbajardi@aol.com>Subject: Re: Hello? Hey sorry just been crazy with school. I will call you later today. Hope these Republican primaries are keeping the newsroom busy. In another email Lane Bajardi thanked Ricky Mason for a meeting earlier that month. Bajardi in the email would make wild accusations about imagined and imaginary children being "sent in to assault mine" and ask for "help to unmask these horrible people and punish them for their unlawful trespasses." At his July 16, 2014 deposition, Lane Bajardi on the question of why Beth and Ricky Mason needed to be comfortable with his choice of an attorney claimed he could neither deny nor confirm writing it in an email to James Barracato. Here he feigns lack of recall about that February 8, 2012 email filed as part of a defense motion to the court just days earlier.